Ari posted about the tracks that she had found in Maine. 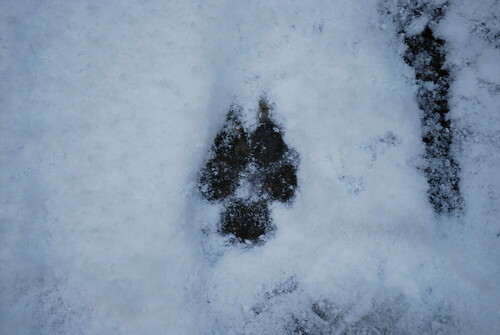 She posted one of her tracks, along with moose and bobcat tracks. That gave us the idea to post this picture that Mom took before Christmas. I'm not sure if that is a Kat track or a Steve track, but it's for sure not a Wilbur track.